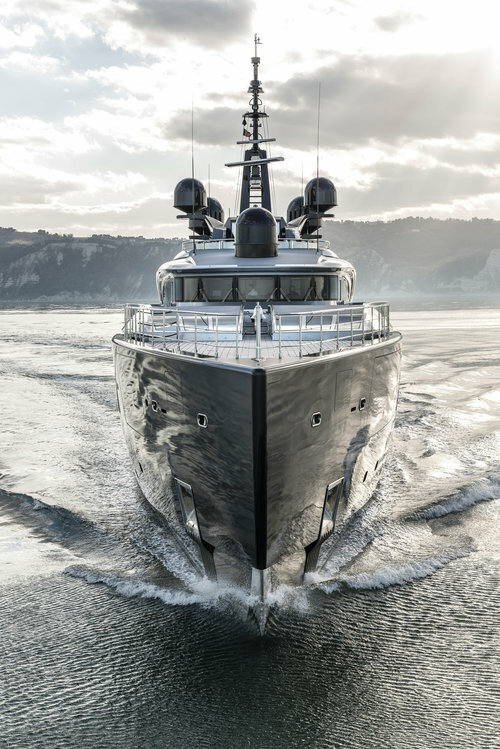 Built in 2014 by ISA Yachts, 66m/217ft 66M GRANTURISMO SUPERYACHT is a steel-hulled displacement vessel with naval architecture from BMT Nigel Gee in collaboration with the shipyard. Andrea Vallicelli is responsible for her exterior styling and the interiors are the work of Alberto Pinto. Her crisp and contemporary interiors accommodate a maximum of 10 guests over five spacious cabins. 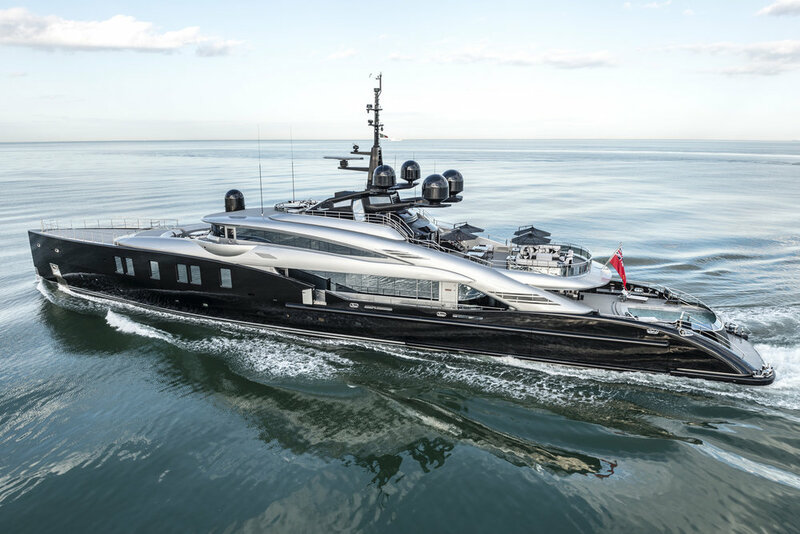 This impressive sporty-looking charter yacht will impress everyone wherever she goes! 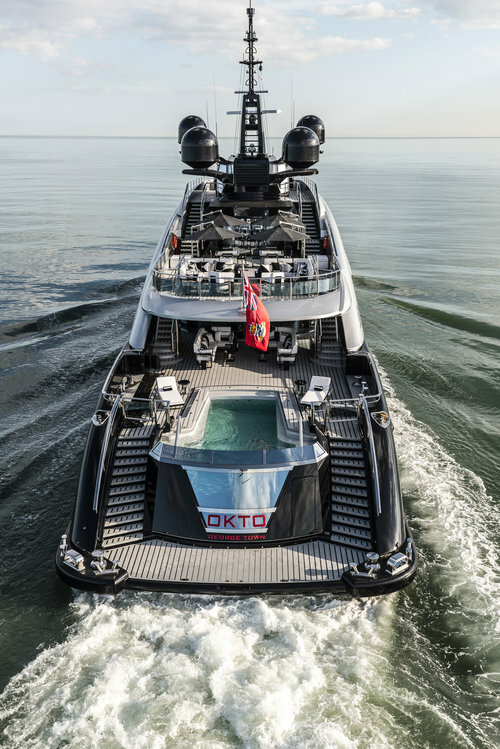 From the broad aft swim platform, charter guests can access the main deck aft, where a 6m/20ft saltwater/freshwater swimming pool is integrated into the stern. As an additional benefit, the swimming pool water can be heated or cooled using a contraflow current. Two sun loungers take in the sunshine and farther forward a shaded cockpit hosts two L-shaped sofas with elongated drinks tables. On the upper deck behind the sky lounge, two L-shaped sofas with coffee tables, plus additional seating, look out over the stern, and two small alfresco dining tables create a casual setting for meals. 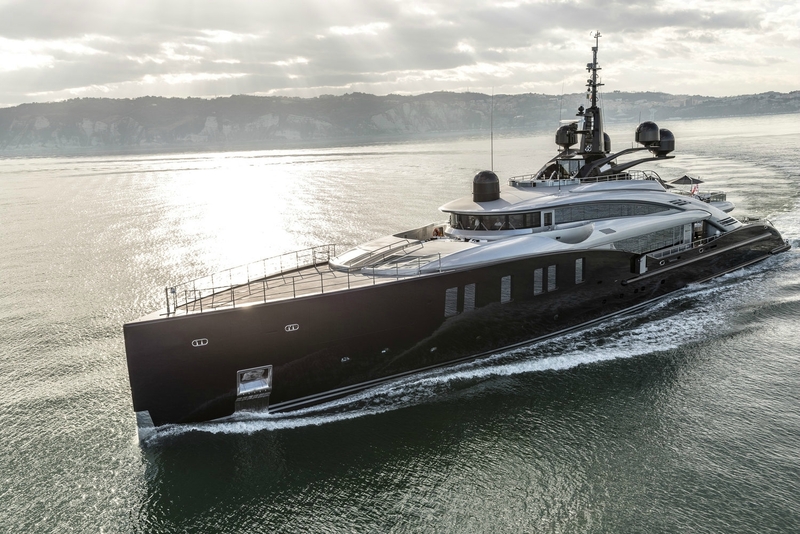 Forward of the helm station, there is a C-shaped sofa with a broad raised table designed for alfresco dining and outdoor relaxation with electronic devices and other personal effects. 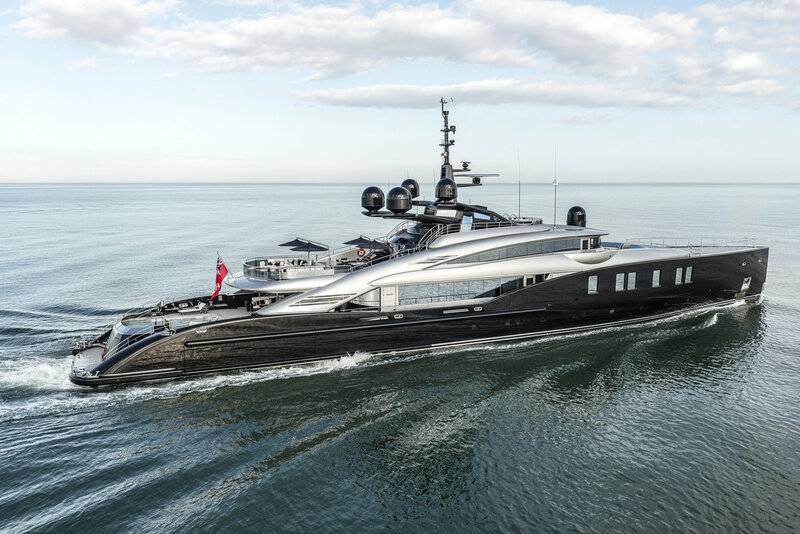 The expansive foredeck can be used for entertaining and is designed with a touch n' go helipad. A flight of stairs leads up to the sundeck forward, which has a raised Jacuzzi encompassed in sun pads for a private place to unwind. The interior from Alberto Pinto uses a monochrome colour scheme that is lighter in the guest accommodation and darker in the shared guest spaces. Textures on silver and gold decorations add to the sophistication and glamour of each room, day or night. 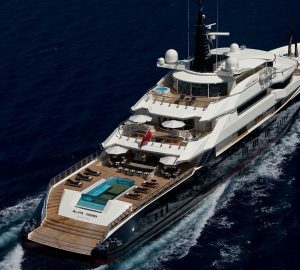 The lower deck swim platform leads through to a beach club, forward of which is the engine room and then the guest accommodation, which consists of three VIP staterooms, all with en-suite facilities. 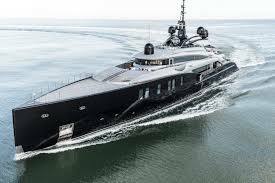 The bow contains the crew accommodation and galley. The full-beam Master suite has plenty of seating and a starboard terrace opens the interior to the fresh air and sunshine. Behind is an en-suite bathroom with a large tub, and there is a VIP cabin on the starboard side. The main salon is placed forward and consists of a sofa and four armchairs around a coffee table. To the aft near the curved sliding doors, there is a grand circular dining table to seat up to 12 guests. The upper deck foredeck contains the Captain's cabin and the helm station, and to the aft, the sky lounge uses a circular formation for a comfortable and intimate environment. 2 x Caterpillar 3512C, 2,366 HP engines provide a cruising speed of 16 knots and an economical speed of 13 knots. The accommodation sleep up to 10 guests over 5 en-suite cabins: 1 Master suite and 4 VIP staterooms. The crew of 17 will ensure that all guests receive a first-class service throughout the cruise. 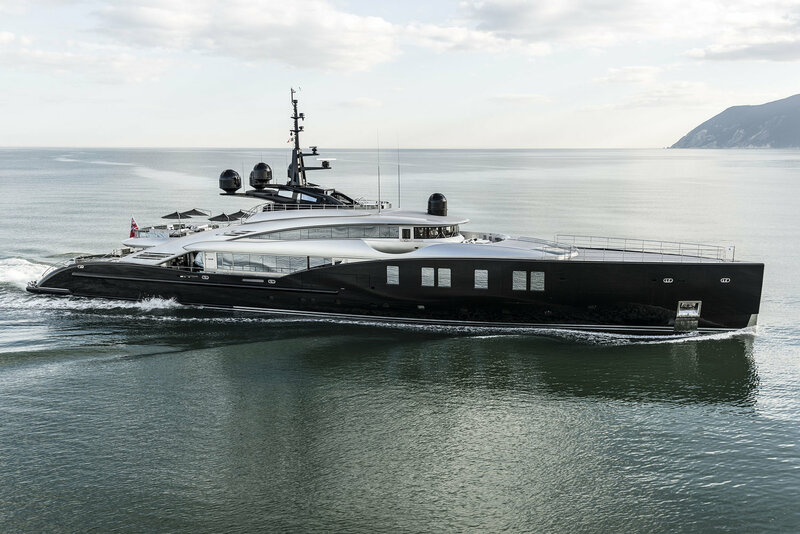 We do have available further amenity, owner and price information for the 66.40m (217' 10") yacht 66M GRANTURISMO SUPERYACHT, so please enquire for more information.